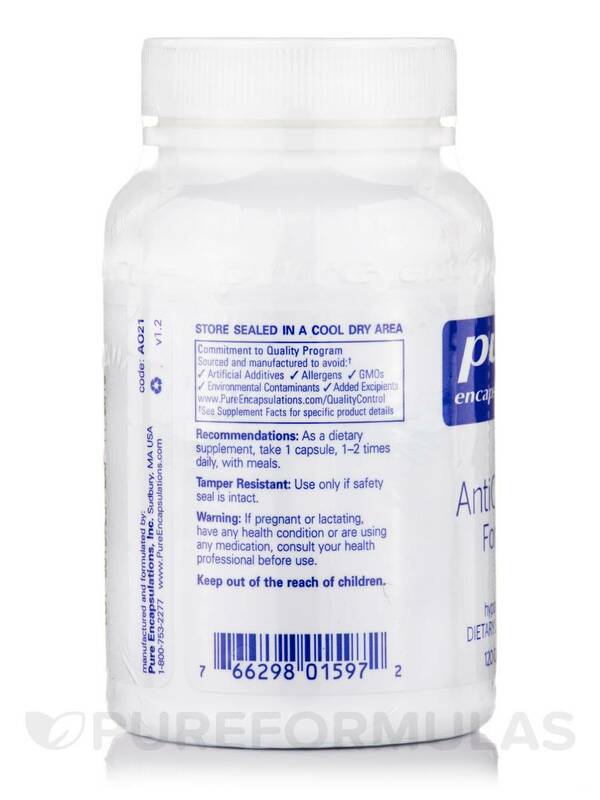 AntiOxidant Formula by Pure Encapsulations supports removal of toxic waste in the body. Free radicals are naturally produced during normal bodily functioning‚ and you're also exposed to them through your environment. It can potentially cause damage to your cells. This can have negative impacts on your overall well-being. 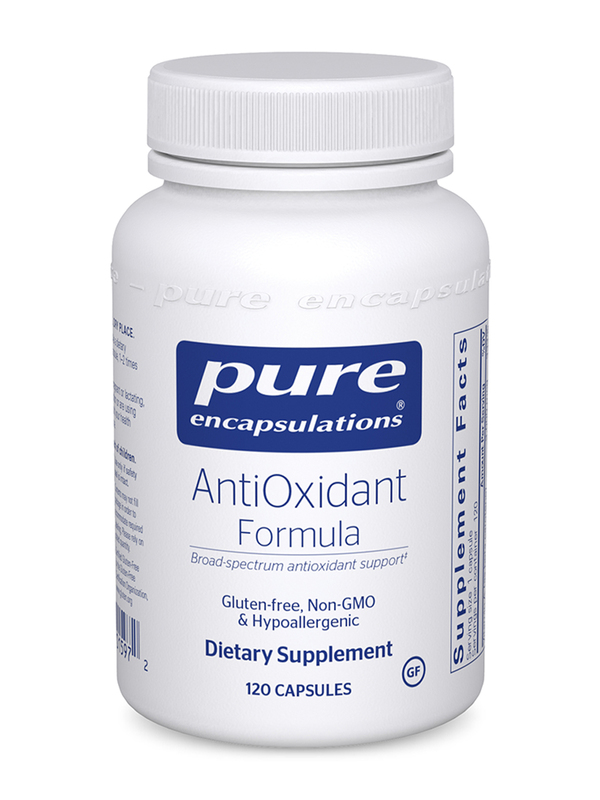 Fat-soluble vitamin C and natural vitamin E are among the antioxidants contained in AntiOxidant Formula by Pure Encapsulations. The former may support healthy bones‚ skin‚ and connective tissues while promoting increased iron absorption; the latter may provide an immunity boost and support your metabolism. There are many dietary sources of antioxidants‚ including fruits‚ vegetables‚ whole grains‚ nuts‚ and meat products. Unfortunately‚ getting them through your diet can be inconvenient. A supplement like AntiOxidant Formula is an easier way to ensure that you have enough of these essential substances‚ which may be necessary due to a poor diet or certain health conditions. 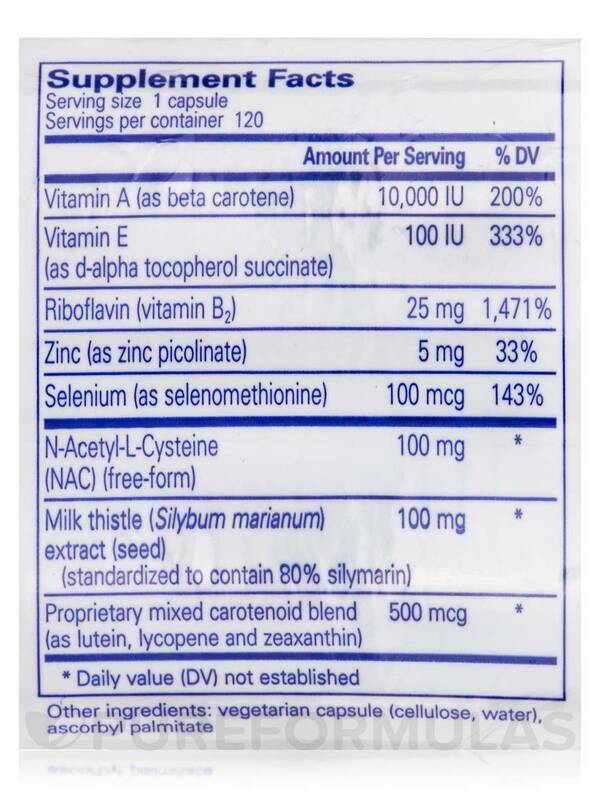 What one food contains a wide array of nutrients like zinc‚ selenium‚ and N-acetyl-l-cysteine (NAC)? Each vegetable capsule also promotes the healing process. This supplement provides milk thistle extract (and its flavonoid silymarin)‚ which may support kidney‚ gallbladder‚ and liver health while having anti-inflammatory effects in addition to its antioxidant powers. In addition‚ it's a good source of helpful mixed cartenoids like alpha carotene‚ beta carotene‚ zeaxanthin‚ and lutein. Meanwhile‚ riboflavin is a B complex vitamin that supports energy metabolism‚ as well as your body's ability to process the fats‚ proteins‚ and carbohydrates you eat. Take one or two capsules of Pure Encapsulations' AntiOxidant Formula daily‚ in divided doses with meals. 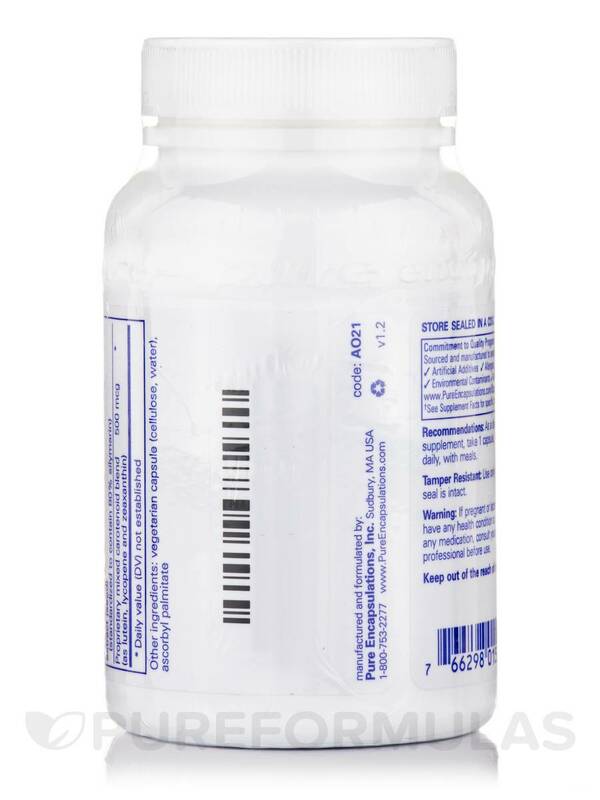 At the recommended dosage‚ a 120-capsule bottle should last from two to four months. 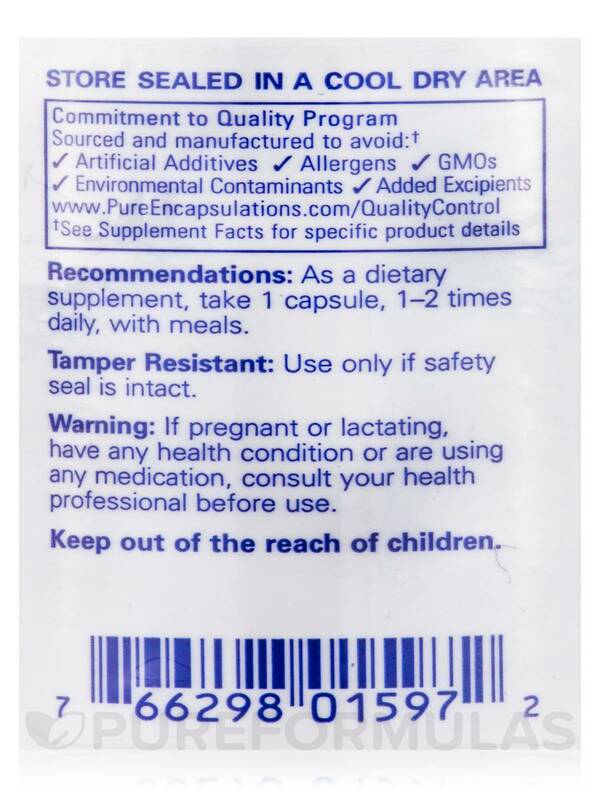 (Standardized to contain 80% silymarin). Easy to use with no apparent side effects.